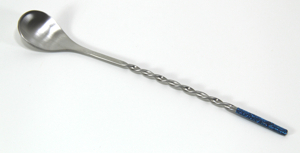 Looking for a spoon with a handle long enough to stir egg creams, milkshakes, or ice cream floats? Why not stir in style! 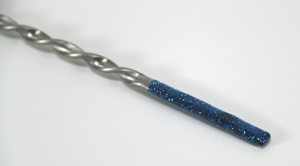 Dazzling blue glitter adorns the handle of this extra long, brushed stainless steel spoon. Heavy duty economy grade tool that should last forever. 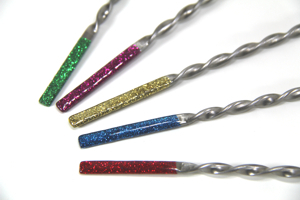 10" overall length. Extra wide bowl.